Jacob Zuma, who quit as South African president last year after being implicated in a string of scandals, is facing fresh allegations that he took bribes from services company Bosasa to shield it from prosecution and advance its business interests. Angelo Agrizzi, Bosasa’s chief operating officer from 1999 to 2016, told a judicial inquiry that’s probing graft during Zuma’s rule how the company agreed to pay R300,000 ($22,000) a month to his charitable foundation in return for protection from prosecution. Bosasa chief executive officer Gavin Watson gave the money to Dudu Myeni, the foundation’s chairwoman, according to Agrizzi. The former COO said he counted the cash and was present when several payments were made. 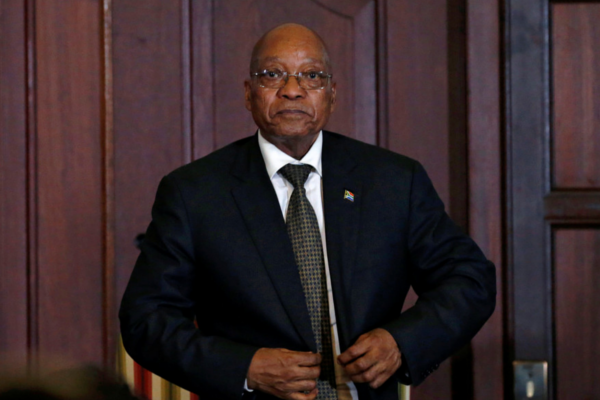 Zuma, 76, is already on trial for taking bribes from arms dealers in the late 1990s and has been accused of allowing members of the Gupta family, who were in business with his son, to influence government contracts and cabinet appointments. Zuma, his son and the Guptas deny any wrongdoing. Besides Zuma, a number of senior ruling African National Congress officials have been implicated in taking bribes, which could further damage its reputation ahead of elections in May. The ANC, now headed by President Cyril Ramaphosa, has said individuals who engaged in wrongdoing acted in their personal capacity and has called on them to testify. 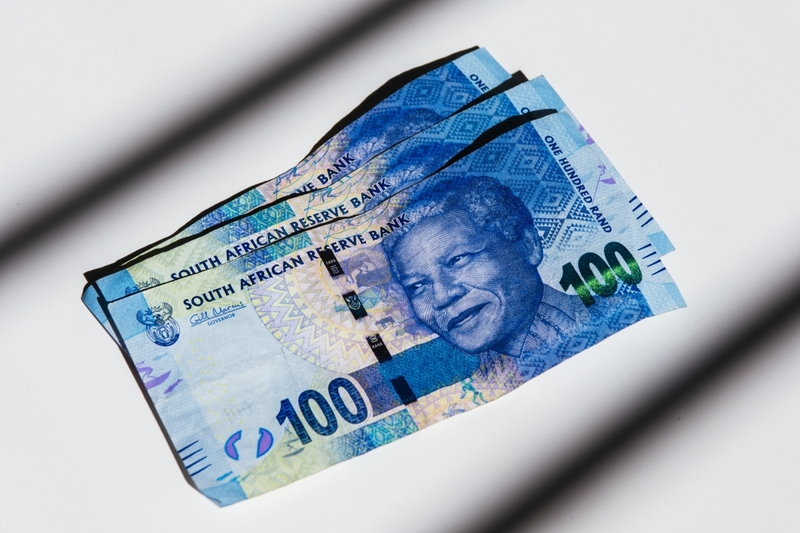 Bosasa, now named African Global Operations, made headlines late last year when it emerged that it had donated 500,000 rand to Ramaphosa’s campaign to win control of the ANC. Ramaphosa initially denied any knowledge of the donation and then said he had inadvertently given incorrect information to parliament about it and undertook to repay the money. In his testimony, Agrizzi said Myeni, who served as chairwoman of South African Airways from 2012 to 2017, would often ask Watson to arrange functions for Zuma and his family, which cost about R3.5 million a year. He alleged that Watson and Bosasa executive Joe Gumede told him they visited Zuma at his rural home in the eastern KwaZulu-Natal province and handed him R300,000 in a bag because they were worried that Myeni wasn’t turning over the full monthly payments – a concern the then-president said was unfounded. Zuma then arranged a meeting between members of the police’s Hawks investigative unit and Gumede to discuss allegations that Bosasa, which supplied catering, security and other services, used illicit methods to secure government contracts, Agrizzi said. Agrizzi also testified that he and Watson met with Myeni at a Pretoria hotel, where she told them she was trying to quash a probe into Bosasa and supplied them with the police case docket. Watson asked her to urgently discuss the matter with Zuma, he said. The inquiry, headed by Deputy Chief Justice Raymond Zondo, began public hearings in August last year and has two years to complete its work. Zuma’s spokesman, Vukile Mathabela, referred queries to Myeni, who said in a text message that she couldn’t comment for the former president and would respond to the allegations against her once Agrizzi had completed his testimony. Bosasa’s spokesman, Papa Leshabane, didn’t answer calls seeking comment. The Hawks have said their investigations into Bosasa are complete and they are now waiting for prosecutors to decide how to proceed with the case.